Rated #1 on the Beach Every Year Since 1999. Newly remodeled heated swimming pool and deck area are steps from the beach. Spotless brand new laundry facility has large capacity washers and dryers as well as folding areas. The elevator is about 50 feet from my front door, and you have use of a clothes valet and shopping carts. There is a Rec Room with fully equipped kitchen and can be reserved for large gatherings, and it houses a nice collection of books and magazines. 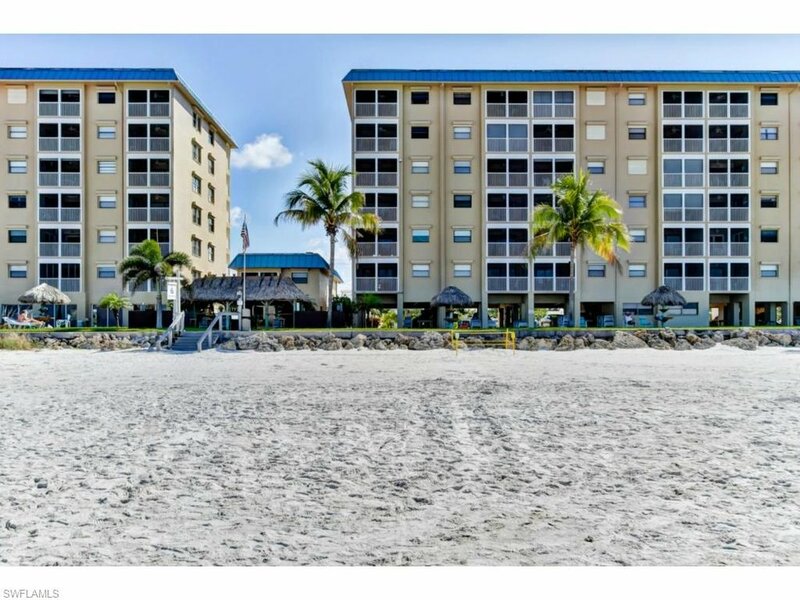 Chairs and loungers are available and located conveniently under the building for use on the grassy area before the beach. Two Shuffleboard courts are on the South side of the building. Four Gas BBQ grills are available for your use and are situated under the tiki hut at the beach. 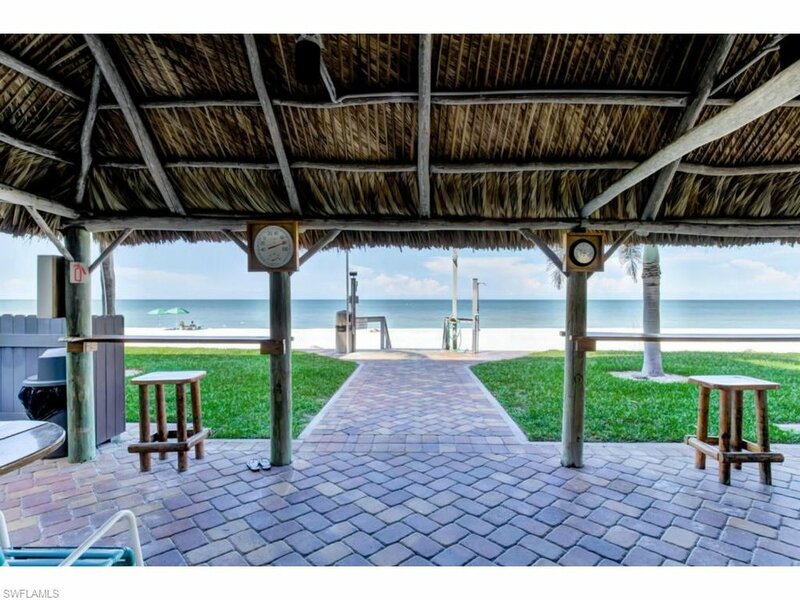 There's no finer place to cook your catch, enjoy a glass of wine, and watch the spectacular sunsets over the gulf. 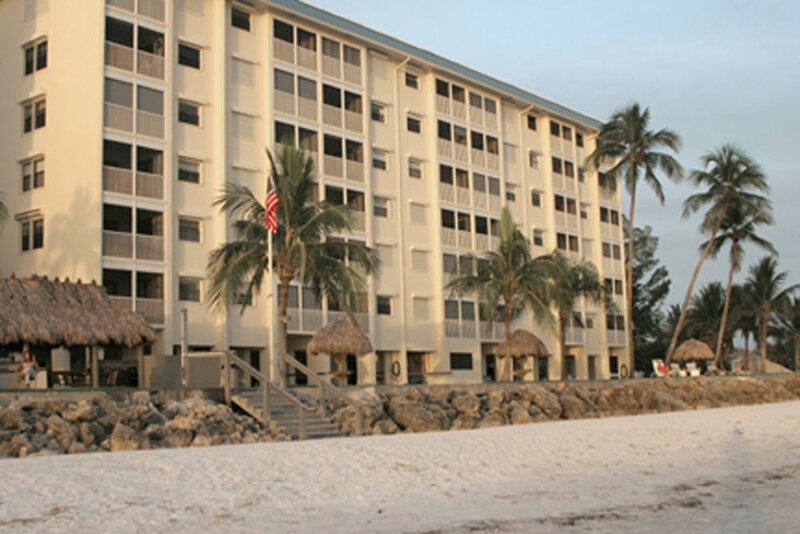 The Beach Trolley runs the length of Ft Myers beach and stops in front of the building. The Publix supermarket is 2 blocks away as is a marina for boat rentals or to launch your boat.